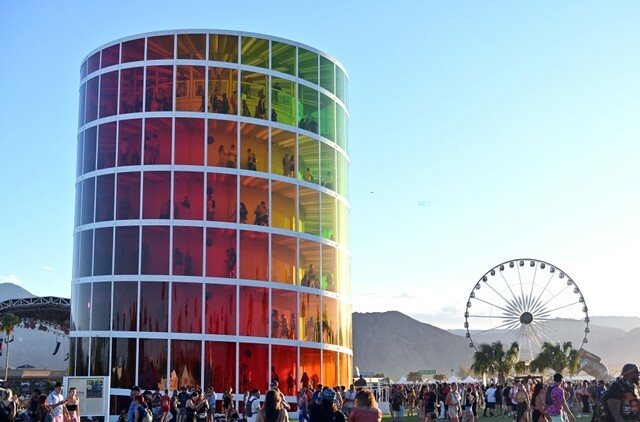 A fire broke out on the Coachella festival grounds in Indio, California late last night, ABC7 Eyewitness News and The Guardian report. A witness said they heard “explosion sounds” before one of the campground’s public shower blocks went up in flames. Firefighters arrived at the scene shortly after 2AM and the blaze was contained within half an hour. Fortunately no one was injured, and the Riverside County Fire Department says that the fire was caused by a mechanical failure of the heating unit used for water. The festival is expected to continue as usual today. See footage of the fire captured on social media below.